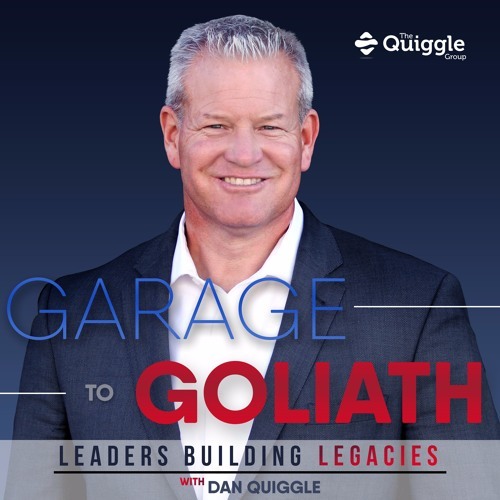 In the Garage to Goliath podcast, marquee leadership speaker, entrepreneur, and host, Dan Quiggle, introduces you to unsung leadership, business, and entrepreneurial heroes. Dan travels the world as a leadership keynote speaker and meets the most successful, positive, and inspiring leaders. With Garage to Goliath, Leaders Building Legacies podcast, you get to learn from the best, how to be your best and in turn lead well, lead with purpose, impact lives and communities, and build a lasting leadership legacy. Dan Quiggle also unpacks leadership strategies, ways to build your leadership toolbox, and talks through tangible ways to improve your leadership style and leadership effectiveness. Be inspired to take the next garage to goliath step in your life.